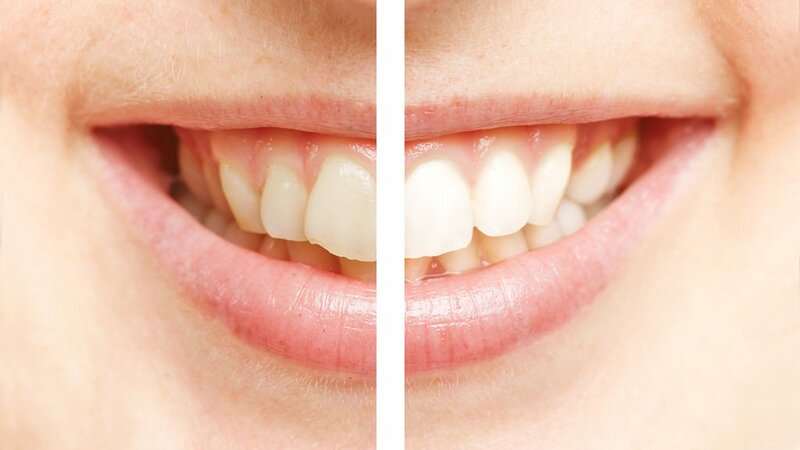 A new, less destructive method for teeth whitening has been developed by a team in China. In the age of Instagram and Snapchat, everyone wants to have perfect pearly whites. To get a brighter smile, consumers can opt for over the counter teeth-whitening treatments or a visit the dentist to have their teeth bleached professionally. But both types of treatments can harm teeth. Currently, the most common bleaching agent is hydrogen peroxide, which steals electrons from the pigment molecules that cause teeth discoloration. This process can be sped up by exposing teeth to blue light. But because high concentrations of hydrogen peroxide can break down a tooth’s enamel, causing sensitivity or cell death, researchers from Nanchang University wanted to see if a different blue-light-activated compound could be a safer, but still effective, alternative. To test this, they modified titanium dioxide nanoparticles with polydopamine (nano-TiO2@PDA) so that they could be activated with blue light. In a proof-of-concept experiment, the nano-TiO2@PDA particles were evenly coated on the surface of a tooth and irradiated with blue light. After four hours of treatment, the whitening level was similar to that obtained with hydrogen-peroxide-based agents. The group—whose findings are published in ACS Biomaterials Science & Engineering—noted that no significant enamel damage was found on the surface of the tooth, and the treatment was significantly less cytotoxic than hydrogen peroxide. In addition, the nano-TiO2@PDA therapy showed antibacterial activity against certain bacteria.